Dear Friends, here are the remaining parts (2-5) for your immediate reading enlightenment! We’re living in very historic and loving transformative times. With so much love and gratitude, Namaste, Francine. There has been a lively discussion among afterlife communicators going back to the 1870s of the event known as the Return of the Masters. It sometimes is subsumed under discussions of the Second Coming. It comes from higher-dimensional beings and from ordinary people who have just passed over and are still communicating with their loved ones or their former readers. I can take the discussion back as far as the 1870s, when “Imperator,” the pseudonym adopted by the prophet Malachi, was speaking through Rev. Stainton Moses, He discussed the upcoming Return of the Masters to Earth. “Christ has passed into the spheres of Contemplation; (1) but He may personally return when our work is completed. But much must be accomplished before the harvest will come, and the time of sowing and growth will be long. “Ye know not how great is the work that is being done; how vast the vista that is being opened. Never before has there been such an outpouring of Divine Love as now. Silent influences are at work in men’s minds. All over the world they are being prepared to receive the teaching we are giving you here. On another occasion, Imperator described his work associated with the spiritual return of the Christ. Imperator: I have before said that I derive my mission, and am influenced in my work, by a spirit who has passed beyond the spheres of work into the higher heaven of contemplation. Jesus Christ is now arranging His plans for the gathering in of His people, for the further revelation of the truth, as well as for the purging away of the erroneous beliefs which have accumulated in the past. Stainton Moses: I have heard something of this from other sources. Is this then the return of Christ? SM: Is this message coming to many? After Imperator, spirit communicator John Heslop, allegedly a resident of the Christ Sphere, a high spirit plane, hinted at the role the angels will play in birthing the new world in a communication that appeared around 1912. “Angelic beings assist at the birth and development of these new worlds. They build up the conditions necessary for the ultimate production of life, though this process may take millions of years. At first the lowest forms only are produced. Gradually they rise in capacity till the world is ready for the highest intelligences. In a second book, Heslop predicted the Christ’s return accompanied by legions of angels. “Do not be afraid of the present conditions of evil and unrest, the Christ is coming, and then everything will fall into its rightful place. The Christ is coming! Let all the earth keep silence before Him! “To those who have attained the Spiritual vision he is already visible and from every part of the world will they greet Him and evil and evil-doers will flee away from the Light of His Presence. Then will He reign upon the earth in Righteousness and Truth. “Pray continually that the day of His Coming may be hastened for we here are also working to this end. The joy and glory of that Reign of Peace will far exceed anything you can dimly imagine. “But I cannot tell you how heavy our work is just now; there are so many evil forces around your world, which must be counteracted or transmuted. It is a transition period of vital moment to all those who dwell on earth and to the many planes and spheres which impinge upon it. The Return of the Masters, in my opinion, is the event that corresponds to the Second Coming. A friend of Heslop’s wife, “Stella,” also worked for the Second Coming from the other side of life. “My special work on earth just now is in helping to prepare the way for the Coming again of the Christ and His Reign of Peace and Love, for He is coming and you are all helping to make the conditions necessary for His reception. The spirit guide known as White Eagle made a passing reference to the spiritual hierarchy returning to guide the Earth. The spiritual hierarchy is also known as the White Brotherhood and would be a synonym for the ascended masters. “A rapid development is taking place now, although man may be largely unconscious of it. In a little while the human race will be uplifted by its own effort and the effort of the [spirit] hierarchies. “There is also great spiritual activity in outer space, a penetration of the mists of Earth by the angelic life. Man must learn to be receptive to these radiations from outer space. He must prepare himself by gentle, good thought, by abolishing all that is cruel, unseemly, ungoldly, to receive visitors from other worlds, physical, etheric and spiritual. “When Spirit brings forth its new dispensation, there will be a revolution mightier than all the revolutions of war and blood. There is much work for this divine force to do. “All saints, adepts and Masters from time immemorial will come. Their mighty spirit will direct all awakened souls throughout the earth and all of these together will establish perfect order and harmony in the world. “The plan for which we must prepare … has been called the Second Coming. But it is not in the least like the original Coming of Christ. This will happen at first slowly, and all over the world people will appear possessing great dynamic force and power. “They will not command. They will keep in step with all of you in all the different walks of life, but slowly, gently, they will impress the love ray, and their gentle influence will be felt and guarded. Take this into your conscious mind and hold yourself alert to meeting, as you may well do, one of these advanced beings. Arthur Ford made a cryptic comment about Masters who had incarnated. I personally know a disciple of Jesus who would have been in incarnation when Arthur Ford spoke. He doesn’t want to be identified. I know of several people who associated with Jesus who are in the body, several prophets, etc. So Ford’s comments don’t seem out of place to me. On another occasion, he explained why so many people were claiming to have an illustrious background or derivation. However we now know that many people claiming unusual backgrounds are in fact here to help with Ascension. “The reason you’re seeing so many second comings of Jesus, second comings of Buddha, and even the rise of black magic and Satanism is because humanity is vaguely aware that something big is going to happen. When someone says, ‘Oh, I’m Mary Magdalene’ or ‘I’m Jesus,’ this is just a very strange response to genuine impelling forces. “I don’t think he will be working through the framework of traditional Christianity any more than Jesus Christ worked through the traditional framework of Judaism. He will probably have his beginnings there, because that will be the predominant religion of whatever community he is in. At least two avatars are here at present: Mata Amritanandamayi and Mother Meera. Maitreya’s return could conceivably be included among avatars (certainly Jesus was seen by Sri Ramakrishna as an avatar and Maitreya comes with equal stature). “Many now expect the return of their awaited Teacher, whether they call him the Christ, Messiah, the fifth Buddha, Krishna, or the Imam Mahdi. Millions now know that the Teacher who fulfils all these expectations is already living among us. “Maitreya, the World Teacher, has not come alone, but with a group of wise Teachers who have long guided humanity from behind the scenes. They are returning to the everyday world to help us solve our most critical global problems. Maitreya is not a religious leader, but an educator in the broadest sense. He can only guide; we have to act to save our world. “He is here to inspire us to create a new age based on sharing and justice, freedom and peace, so that all may have the basic necessities of life: food, shelter, healthcare, and education, in a world free from want and war. So many have been the harbingers of the Masters’ return. It isn’t as if there is not a long historical record of people predicting the events that we’re seeing unfold before our eyes now. Along with the abundance program and Disclosure, the Masters’ Return is one of the major events designed to prepare us for Ascension. That event appears to be happening, if not now, then in the very near future. In our next article in this series, we’ll look at the impact on religion of the Masters return. One of the reasons the masters are coming is to take the religions of the world and restore them to the truth. My personal interpretation is that “religion” refers to an organized system of beliefs that explains the relationship between humanity and God. “Spirituality,” however, is less organized and concerns itself more with how to achieve the purpose of life; that is, to solve the eternal mystery of who we are at our essence to help us to realize God. The masters come to restore the truth of spirituality. Their teachings will transcend the different religions and in most cases make them obsolete. The Masters have no intention of bringing their truth into line with existing religions but vice versa, SaLuSa tells us. The current generation, the Arcturian Group says, are ready to to correct religion’s faulty stewardship. SaLuSa predicts that the Masters’ revelations will end divisiveness and bring people together. The worst parts of religion will be discarded in favor of spirituality, Matthew tells us. SaLuSa tells us that a belief in God is the starting point for the understanding of anything profound in the universe. He describes the foundational beliefs of a new spirituality. It isn’t that one religious teaching is better than another, SaLuSa says: “No one teaching is really better than another, although some have a more accurate explanation for God.” (11) But the truth revealed will set our feet firmly on a productive path. So the returning Masters will release spirituality from religion and set our feet on the path Home – that is, the path to God or more specifically the path to the realization of our Oneness with God. We can expect people to draw together when religions are no longer being used as tools to divide us. And the rise of more truthful accounts of the nature of reality and of God will cause our spirituality to blossom. While the Masters will accomplish much more than just the extraction of spirituality from religion, there is no higher purpose that I’m aware of than returning truth to our ways of worship and self-discovery. Thus the Masters are returning, including the world teacher, Maitreya, a new buddha, and incarnations of angels, archangels, and the ascended masters of the White Brotherhood. But one more group of ascended masters will also be returning and that is us. 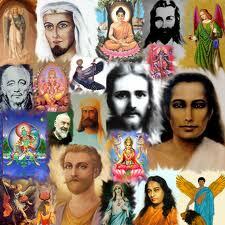 Tomorrow we’ll look at the ascended masters that we are. Many years ago, my understanding was that the Return of the Masters referred only to the return of Jesus, Lao Tzu, Buddha, etc. But more recently Archangel Michael has revealed that, while these masters will return, others who return are really early risers or early ascenders (in other words, us lightworkers) who return as gatekeepers and pillars. I raised the matter of our being part of the returning masters with AAM on Sept. 15, 2011, in a personal reading prior to the start of the series An Hour with an Angel. Steve Beckow: Is that what is meant by the Return of the Masters? “And that is part of the reason for what we would call a staged process or event. So there will be those, what we will call the gatekeepers or the ‘in-betweeners,’ who will go through an Ascension process and be anchored in the full reality, not partial reality, not a glimpse, not an out-of-body experience, but the full reality of the 5th dimension. Archangel Michael reassured us through Ronna Herman that we have expert credentials. “You all are masters of the highest order, or you would not have been chosen as Star Seed Wayshowers for this unprecedented evolutionary process the Earth and humanity are presently experiencing. “We do not put emphasis on who is who. Who is the head of this planetary council? Or who is the commander of what ship? Or who has been, for example, Abraham or Moses? Or who has been Mary Magdalene? This is not the situation we want to create. “Each of you came because you had reached a point in your evolution back to the One where you had the capacity and the will, the design and the plan, in terms of your own plan, to evolve and to embrace this level of full consciousness. The Pleiadian Council of Nine through Wes Annac expands on what Saul is referring to. They describe some of the circumstances of our own histories. “Some of you have come to the Earth from planets or other objects in our star system, the Pleiades, while others have come from states of consciousness much purer than those that would require Living on a planet. Those of us from much higher dimensions may not be attached to a planet or even have bodies. But we’ve taken on a veil of forgetfulness and don’t now remember our own backgrounds. “We are speaking, of course, of vastly pure states of consciousness that, while many of you have come from, you have not yet grown back into and we can say with happiness and Love that you will be able to fully remember these states of consciousness upon growing back into them. “Indeed, there will be so very much for you to learn that will help you adjust to the pure states of consciousness you have long begun growing toward, and we mean this for your personal Lives and for the world stage. We then are among the masters returning. Some of us will ascend and come back to serve as gatekeepers and pillars. Others of us will not ascend but still serve as bridges and gatekeepers. We all have our roles to play. Whether we ascend or not now, we all have ascended in other lifetimes, which is why we can play the roles we do now. So, in considering the Return of the Masters, the picture is not complete unless we factor ourselves in it. This concludes our look at the Return of the Masters and hopefully sets the stage for Lord Matreya’s talk on May 3, 2013 on An Hour with an Angel. Maitreya is quintessentially the epitome of a returned Master here to tutor us and the world in what we need to know about Ascension. Lord Maitreya’s announcement, to be broadcast Monday, Jun 3, 2013 on An Hour with an Angel, that he is here and will be appearing publicly later this summer is about as clear an indication that the event known as “the Return of the Masters” is nearly upon us as there probably can or will be. Steve Beckow: But just before you get to [your round-up], could you be a little more specific, please, on who the masters are who are here? Because I personally know of seraphim who are in incarnation; I know of elohim; I know of the leaders of some planetary high councils that are here; I know of prophets. So could you tell us in more detail or specificity who the people are who have come to participate in form in this Ascension effort, please? SK: Now, also understand, as I say some of these names, there are those who choose not to be known, and that sometimes it is not an aspect [of their being that incarnates], but an expression of their being. Saul/Paul, Mohammed — in aspect or expression; Moses, Abraham, most of the old prophets, as you have known them; many of the what you would think of as the eastern beings — Djwhal Khul, St. Germain pops in and out as aspect; Kuthumi, Maitreya — in and out, not fully anchored as yet. There is a new Buddha already born, and already in practice, in place. The Blue Tara, Green Tara. An aspect or an expression of Quan Yin. So they are already present upon the planet. In this series of articles, I’d like to prepare us for Maitreya’s interview on Monday, June 3, 2013, by looking at what our sources have said about the Return of the Masters. He referred to the Return of the Masters on many other occasions as well. “The Masters are returning, and some are already incarnate carrying out their work to bring as many souls as possible into the Light. You have your ideas as to who they are, but for the time being they prefer to work unannounced. However, once the major changes are completed, some Masters will return as names in their own right. Following disclosure, which we already know Archangel Michael has said is “underway,” (8) they will declare themselves as part of the general revelations. The Return of the Masters is one of the important events in our Ascension. They’ll smooth the Earth’s acceptance of our star family, reassure the followers of different religions that Ascension is legitimate and nearly upon us, and watch over the building of a new society. It’s we that will build that new society. And they have no intentions, apparently, of somehow dictating what that new society will look like or taking the enjoyment of building it away from us. Its shape is left up to us to decide. But they’ll be available to mentor and guide us as needed. Tomorrow we’ll look at the history of the discussion of the masters return and in following parts of this series we’ll look at the impact of their return on spirituality and religion and our role as wayshowers and returning masters as well. (4) SaLuSa, Aug. 27, 2012. (5) SaLuSa, April 2, 2012. (6) SaLuSa, March 22, 2010. (7) SaLuSa, Feb. 8, 2010. (8) Reading with Archangel Michael and Steve Beckow through Linda Dillon, May 29, 2013. (9) SaLuSa, Jan. 22, 2010. My Dear Friends, these words eloquently written by Peter Deunov long ago on mount Musala, in Bulgaria, landscapes our current transitional period of awakening. We are breathing the change of consciousness, dissolving the illusion of polarity angles of egoism and shifting the paradigm to Oneness from our sacred hearts. It is our most high honor to be here to assist Gaia and all beings transform in and of the energy of Love, of Oneness, of Unity Consciousness – and Live to share it with others. The energy I feel and receive when reading his prayer elevates me with reverence. I feel emersed in forces of love. Please share with others. With much love and gratitude, Namaste, Francine. “During the passage of time, the consciousness of men traversed a very long period of obscurity. This phase which the Hindus call “Kali Yuga”, is on the verge of ending. We find ourselves today at the frontier between two epochs: that of Kali Yuga and that of the New Era that we are entering. A gradual improvement is already occurring in the thoughts, feelings and acts of human beings, but everybody will soon be subjugated to divine Fire, that will purify and prepare them in regards to the New Era. Thus man will raise himself to a superior degree of consciousness, indispensable to his entrance to the New Life. That is what one understands by “Ascension”. Nikola Tesla – Celebrate His Gift – Free Energy – About To Manifest On Nova Earth! Free cosmic energy harnessed by Tesla, suppressed for years, will become a reality staple in our new paradigm. Free – Abundant – Infinite. Enjoy this video and remember what you read here today – so it is said, so it is done! Namaste my friends, Francine. Tell Me Something That Brings You Joy…. How do I capture and convey the utter joy my soul feels right now in my life? For just this moment, visualize every cell within you pirouetting alive to sacred geometry. Healing and dancing like a symphony within each aligned chakra to music unfolding the beauty of awareness of all that is, all that’s one and springing forth its’ positive energy out to the universe. It’s a plethora of unwavering energy manifesting joy. The great awakening the world is experiencing is providing the impetus for change and it’s this movement that brings to life my joy. Indeed it’s a wonderful time to be here front and center watching the new world evolve one day at a time. Friends, please enjoy the video by Playing For Change!!!! And Tell me something that brings you joy or a moment that’s brought you joy…. Here’s a brief and incomplete list of what brings me joy (in no particular order)…. I’ve become aware of my fifth dimensional Higher Self, existing on our New Earth and helping to bring it into form and anchor it unto our physical reality. This “meeting” was experienced during meditation as a result of the amazing 12-21 energies I am still feeling. I quickly brought-forth a communication, and my tiredness and need to rest may be a bit apparent by the length of this message. Even as you are bringing me through, dear Wesley, you can feel yourself as me, existing on the surface of our New Earth. Everybody is connecting with and tuning-in to the energies of their Higher Self, and many are beginning to recognize themselves in their fifth dimensional form as they view the landscape of your ascended Eden that you will be gradually realizing you have climbed to. Is within my knowing, 2013 is about unfolding the visible wings of Love within ourselves both individually and collectively….for letting go and trusting again….for living with happiness….for manifesting our biggest dreams….for learning to accept love as well as to give love…not with our minds, but with our hearts. Hard as it may be to forgo ego, it is much easier to offer love and receive it with humility. For I believe each being upon our planet and throughout the universe is a brilliant light presence of GOD. I believe a dimensional shift upgrading our energetic frequencies (ascension) is occuring (and has occured for some) opening our hearts to new and profound beginnings, proliferating love with each breath en masse and reverberating throughout the vast universe . 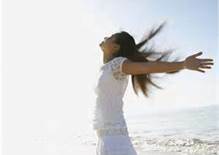 Love with GOD is where I rest my head now, for you are so beautiful….This message is posted with so much love from my heart that I find it difficult to convey its fullness. Share your wings of Love my friends….Please enjoy this song “Beautiful” written and recorded by Damien Leith. With much love and gratitude, Namaste my friends, Francine.